NAMM 2011 PRESS RELEASE: Numark, the world's leading manufacturer of DJ technology, introduces NPM100 professional DJ monitors. Numark's NPM100 is a complete active speaker system with built-in amplifiers that's perfect for bars, practice studios, small to medium-sized setups or anywhere that premium quality sound is required. NPM100's 100W RMS (200W peak) extended-range dual 5" drivers accurately reproduce music for DJs, musicians or anyone looking for pro-quality sound. NPM100 works with virtually all music gear thanks to a standard stereo RCA line input. The built-in gain control allows for quick adjustments when used without a mixer and the quarter-inch / XLR combi input allows unbalanced or balanced inputs. A sensitivity switch toggles between +6dB for use with mixers and -45dB for direct connection of a mic to ensure that no matter what the gig might hold, NPM100 monitors can handle it. A convenient red LED indicator is also present to indicate whenever a signal is clipping so levels can be adjusted accordingly. "Every DJ or musician needs a solid set of active monitors," said Simon Bangs, Project Manager, Numark. 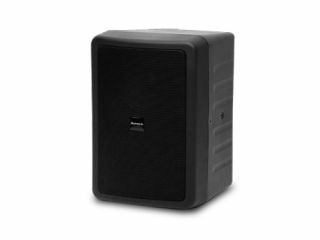 "With NPM100 they can have professional quality sound in an easily-to-transport mobile speaker system with all the right inputs."